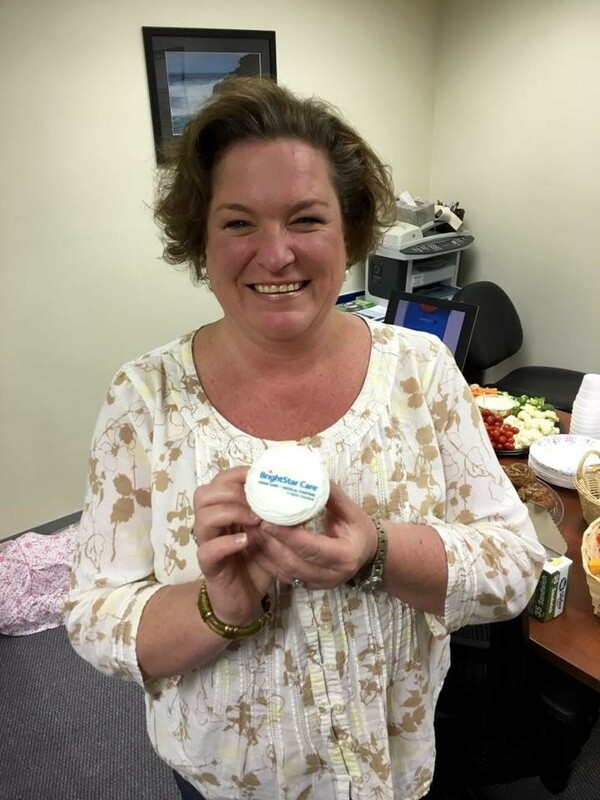 What is the culture like at BrightStar Care? Working at BrightStar Care is unlike any other healthcare employer. We want to know you as an individual- your talents, skills, goals and personality. We do our best to match you with clients whom you’ll enjoy. We will hold you accountable, but we will also treat you with respect. The work we do is highly rewarding: helping people go about their daily routine at home or saving the day when a healthcare provider is short-staffed. We offer on-going training and a scholarship program. We have had the pleasure of helping many CNAs become nurses. We are flexible. We offer opportunity. Flexible– For students this means working around your class schedule each semester. For those with another job, you can select assignments that compliment your existing schedule. For newer CNAs, we are flexible in regards to the type of shift we offer; we will match you with clients based on your experience level and offer more challenging cases as you gain experience. Opportunity– Our professional caregivers have the opportunity to work in a variety of settings from private homes and assisted living centers, to nursing homes and hospitals. While many of our clients/patients are older adults, we also have opportunities to care for children and adults of all ages. With such a large list of clients, we very likely have opportunities that are close to your home. Available– Our management team is here to help. We regularly send out open shifts and new opportunities by email and text, but you are welcome to call or stop-in anytime to work on your schedule. It’s also nice to know that when you work for BrightStar Care, you are never alone. Our managers are available 24 hours a day to support you in your work; we also have a nurse on-call to assist if there are clinical-related questions. What is the hiring process like? Submit an application via our website. You are always welcome to come into the office to complete this if you don’t have internet access or need some assistance. Complete an interview and competency testing. The word test can be intimidating for some, but don’t worry. The competency test is our chance to get an idea of your skills and where you might need some additional training. Attend a mentorship session. If you are planning to work with home care clients, we will schedule a time for you to shadow one of our mentor CNAs at a real shift so you can ask questions and get a better idea of what working for BrightStar Care is all about and what our clients expect of us. Sit down for a 1 on 1 orientation with your manager. This is an opportunity for us to continue getting to know you and how to better match you with available opportunities. It is also where you’ll review our policies and code of conduct. Complete The BrightStar Experience training. 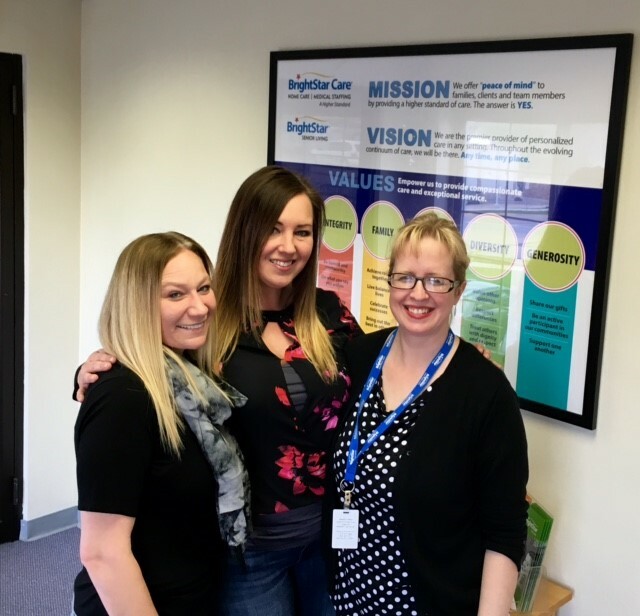 At The BrightStar Experience, you’ll meet more of our management team and other new caregivers, along with learning more about our core values and culture. BrightStar Care is heartwarming and loyal. They make sure the client's needs are met. I am satisfied because of the flexibility and the respect. The training helped me to do my job better depending on the clients I am working with. The training is something that I can continue to use. BrightStar Care will match my schedule needs, and it has worked out with all my new clients. BrightStar Care gives pay raises and they are constantly giving their caregivers recognition. I have recommended caregivers to BrightStar Care and I tell them about the good job they do. They can chose their hours and BrightStar Care is a good company to work for. I would recommend BrightStar Care because they are always looking for good workers and they will treat them good. BrightStar Care has a great staff that is accommodating. The work is enjoyable. Caregivers have the opportunity to make their own schedule. I would tell someone about the incentives that are offered when BrightStar Care needs extra help.